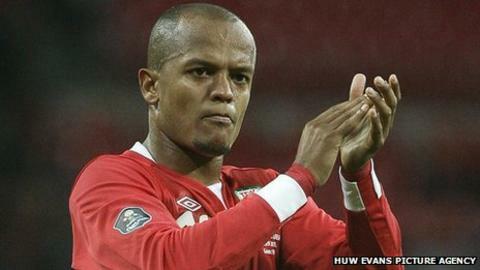 Cardiff striker Rob Earnshaw says players must put the future of the Wales football team ahead of playing for Great Britain at the 2012 Olympics. Despite Fifa's assurances, Scotland, Wales and Northern Ireland fear that selection of their players will undermine their independent status. Great Britain will enter a football team for the first time since 1960. "The Wales team has been around for so long, we want to be here forever," Earnshaw told BBC Sport Wales. Stuart Pearce was named the men's team manager on Thursday, and says he wants players from all four home nations to be made available at the 2012 Games. Earnshaw's compatriots Gareth Bale, Aaron Ramsey and Joe Allen have all expressed an interest in playing for a Great Britain team. "If they're trying to make a Great Britain team and it doesn't affect any countries, and it doesn't affect Wales and the future of the home nations, then perfect, that's all OK," said Earnshaw. "We want a Wales national football team, rugby team, whatever it is, to always be there. "We're proud to be Welsh, we're proud to be playing for Wales so we want that to always be there. "If the home nations are still there then we've got no problem with it [a GB football team]. "All the other football teams play in the Olympics and a lot of people have got gold medals and everything like that and I don't think it should be any different for football. "But obviously it's trickier because of how the situation is with Great Britain and with the home nations being so separated, but it would be a great achievement to play in the Olympics."